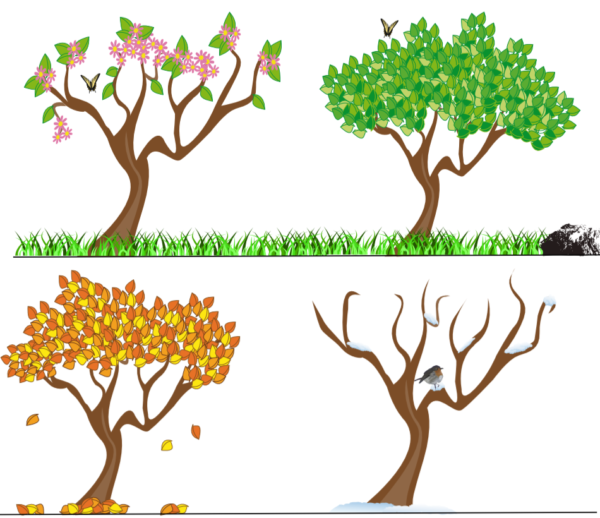 While there are seasons in life, none of them are named multiplication or division. After providing my students with the problem and then giving them adequate time to understand the problem, formulate a plan to solve, and then attempt to solve, I asked them to provide their reasoning and justify their work. As hands shot up, I had students share only the answers they came up with. I had two different answers provided by students—one correct answer (80 minutes), and one bizzare answer (some hundreds of minutes). Some students were making confused, contorted expressions with their faces in reaction to the incorrect answer, but I maintained my composure and did my best to hide my surprise when the incorrect answer was shared out. I thanked the student for being a risk-taker and then asked him to justify his answer by sharing his plan to solve the problem, and then walk the class through his work. After I let the student share out his reasoning and walk us through how he attempted to solve the problem with multiplication (with an incorrect answer in his multiplication), I decided to ask him a question: What made you think you needed to multiply those numbers together? Well, we’re in a multiplication unit, so I just figured that we’d be multiplying numbers together in all our word problems. That’s what we do with all the word problems in the math activity book. Do you think that you’re ever going to have a multiplication unit in real life? Like, every October, all the math in your life will just require multiplication? Does that make sense? Of course the students thought that was an absurd idea, and we discussed the importance of understanding the context of questions and the numbers involved in them, but I left that lesson feeling that somehow, the way we teach math and the curriculum we use (insert most curriculum here), was failing to teach our students to reason effectively. The truth is that, while that risk-taking student’s reasoning was off, he was onto something. Most curriculum introduce math in a systematic manner, centering around one central concept or skill at a time. Often, we teach math skills in partitioned silos, inadvertently teaching our students to compartmentalize their thoughts, effectively hampering/shutting off their critical-thinking and ability to reason. Open your math curriculum and look in a lesson for some word problems. You’ll likely find that every one of those word problems requires the student to mindlessly compute, using the same operator, regardless of context. This is a problem! This student had become so accustomed to this segmented instruction that his mathematical reasoning flew right out the window, and I can understand why. I’ve made it a goal of mine to interweave different math concepts into each unit as a spiraling review, randomly assigning students word problems that don’t involve the central concept or skill of the unit we’re currently in. My hope is that this will keep students on their toes, disallowing them to tune out and simply compute numbers without reasoning first. Have you noticed this same issue with your students? What are you doing to help your students contextualize and reason about the math they are doing when presented with word problems and/or performance tasks? Thanks for sharing Mr. Seeley. As an early childhood educator I took this thinking to that age group of course. I see the same issue happening when teachers introduce a letter from the alphabet each week. Like that happens in life. Instead, I say immerse them with no need to stop and dwell on one letter. P.S. while my daughter was bummed she didn’t get you as her teacher, she loves that your were her science teacher this year. Keep being awesome!! We need even more educators like you! !